Over time, as your Windows Server runs longer, more and more disk space is eaten. Simply gone! Investigating the disk usage leaves you clueless; there are no large log files, crash dumps, or there is no software to be removed. Where did that space go? The answer: Windows Updates, Service Pack, and hotfix installations. 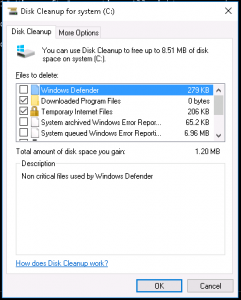 Please note that I’m currently rewriting this article for a more general Windows Server disk cleanup guide. This post also shows you how to move the Windows Server SoftwareDistribution folder and user’s Documents folder to a different partition. The Windows disk cleanup utility cleanmgr is not available in Windows Server 2012 if the Desktop Experience-feature is not installed. This makes cleaning up used disk space a bit harder. You can now utilize your cmd.exe or PowerShell command-line, and use Deployment Image Servicing and Management (DISM) to clean up the Windows Component Store (WinSxS) in Windows Server 2012 and up. The WinSxS folder is located in the Windows folder, for example C:\Windows\WinSxS. It’s the location for Windows Component Store files. Deployment Image Servicing and Management (DISM) is a command-line tool that allows you to install, uninstall, configure, and update Windows features, packages, drivers, and international settings. The /Cleanup-Image parameter of dism.exe provides advanced users more options to further reduce the size of the WinSxS folder. Throughout this article, I assume you’ll read help options, just add /?, like: dism.exe /Online /Cleanup-Image /?. If you enjoyed this, you might also enjoy the following post summing up 5 extra ways to clean up disk space in Windows Server! First you can use the /AnalyzeComponentStore parameter. This analyzes the size of the Component Store in Windows. The AnalyzeComponentStore option is available in Windows 8.1 Windows Server 2012 R2, and it’ll notify you whether a Component Store Cleanup is recommended or not. Dism.exe removes superseded and unused system files from a system with the /StartComponentCleanup parameter. 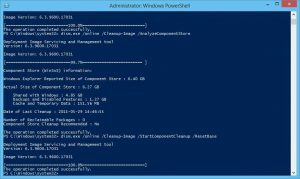 The /StartComponentCleanup parameter is supported on Windows 8 and Windows Server 2012. Using the /ResetBase switch with the /StartComponentCleanup parameter of dism.exe, all superseded versions of every component in the component store is removed. The /ResetBase parameter is supported on Windows 8.1 and Windows Server 2012 R2. The /SPSuperseded parameter removes any backup components needed for de-installation of a service pack. The service pack cannot be uninstalled after this command is completed. The Service Pack cannot be uninstalled after this command is completed. The /SPSuperseded parameter is supported on Windows 7 or Windows Server 2008 R2 Service Pack 1, 2012, 2012 R2. 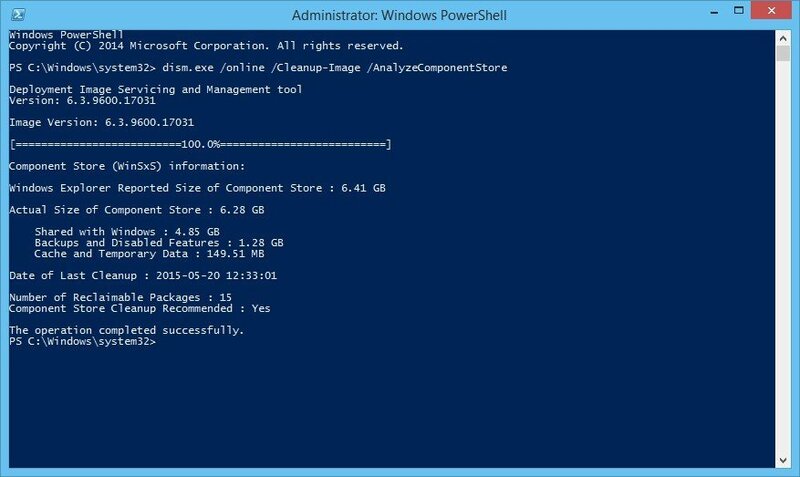 The /AnalyzeComponentStore option is available in Windows 8.1 and Windows Server 2012 R2. 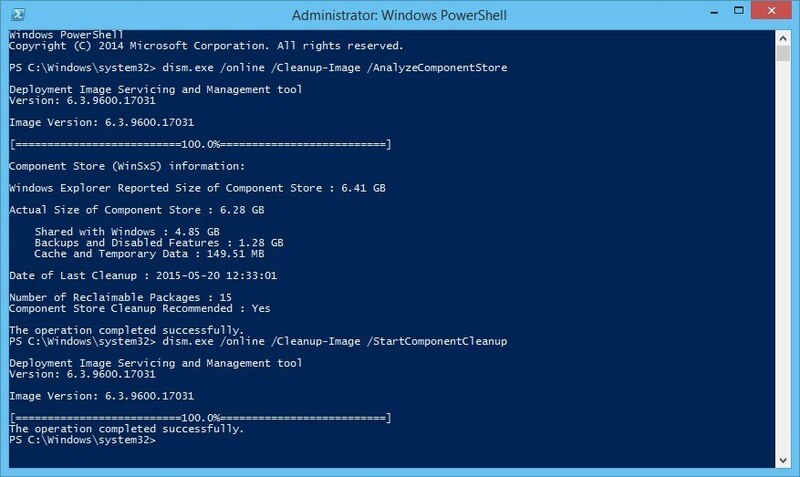 Use this to analyze the size of the Component Store (WinSxS folder) in Windows. As said at the beginning of this article, the Disk Cleanup Tool is available in Windows Server 2012, if you install the Desktop Experience-feature. In some versions of Windows Server, you can simply copy cleanmgr.exe and cleanmgr.exe.mui to C:\Windows\system32 and C:\Windows\system32\en-Us from an old Windows 2008 R2 server, if you don’t want to install the Desktop Experience feature. The following steps to install (copy) cleanmgr may not work on all versions of Windows Server. Try for yourself. Microsoft KB2852386 adds a Disk Cleanup option on Windows Server 2008 R2, similar to the Windows 7 update. I’ve tested this on Windows Server 2012. It may not clean up everything, but at least a lot. Unfortunately, this no longer works on Windows Server 2012 R2 (6.3.9600), probably due to KB2821895. As Aaron pointed out in the comments, the above solution to copy over the cleanmgr.exe and cleanmgr.exe.mui files doesn’t always work well, and therefore I removed this information for Windows Server 2012 R2. Fortunately, the Disk Cleanup functionality is back in Windows Server 2016 (at least TP5). After cleaning up the disk, a server reboot is required. Don’t forget to reboot your computer – or server – afterwards! 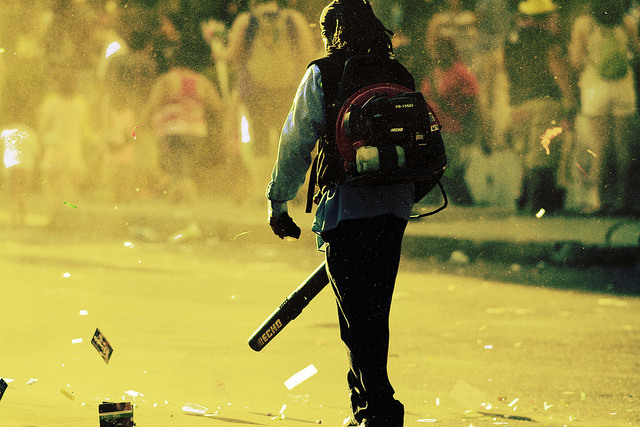 The actual cleanup of the WinSxs directory occurs during the next reboot. Update for the .NET Framework 3.5 on Windows 8, Windows 8.1, Windows Server 2012, and Windows Server 2012 R2. This update resolves an issue that prevents the optional Microsoft .NET Framework 3.5 feature from being enabled after you install security update 2966827 or 2966828 (described in Microsoft Security Bulletin MS14-046) for the Microsoft .NET Framework 3.5. Over time, your Windows Updates SoftwareDistribution folder in c:\Windows\SoftwareDistribution can become quite large, for example when multiple updates were not installed successfully. Windows Update files are downloaded to this folder and removed after successful installation. When you find yourself in a situation where your C: partition is rather small, and SoftwareDistribution folder eats up too much disk space, follow these steps to move the SoftwareDistribution folder to a different location. All in a cmd.exe shell (Start > Run > cmd and press enter). In this example the new location is D:\Windows-SoftwareDistribution. When, after a while, everything seems to run and update fine, delete your SoftwareDistribution.old folder. After completion, files are moved to their new location. Yes, the Windows component store (WinSxS folder) can become large, very large. But fortunately, Microsoft provides us the tools to monitor, manage and clean up the WinSxS folder to regain that used disk space. If you are comfortable with installing the Desktop Experience Windows feature on your system, you can have the Disk Cleanup utility on your system. Otherwise, you can use the DISM (Deployment Image Servicing and Management) command for various clean up tasks. To gain some extra free space, you can also move the Windows SoftwareDistribution folder to a different partition. Unfortunately the /Cleanup-Image /startComponentCleanup finnishes at 100% but does nothing to the WinSXS folder size. Running /ResetBase fails. Do you need x amount of disk space available before you run these commands? I even ran \analyseComponentStore then\startComponentCleanup in case it needed to be run in order and then ran \AnalysecomponentStore again and there is absolutely no difference in space reclaimed. The /AnalyzeComponentStore parameter informs you whether the component store cleanup is recommended or not. See the first image in this post. If you rebooted after the clean up, and it didn’t give you more free space, then I wouldn’t know and advise you to contact Microsoft. Glad this worked fornyou Jason, thanks! Jan, have you seen this error pop up before? I feel like it’s an application that is installed on the server that is preventing the action from completing. But before I go down that rabbit hole… thought I’d check if anyone knew 1) a way to isolate the applications dependent on these files and/or 2) a workaround? Thanks for sharing the good article here. Do you know where DISM keeps all it’s working files? I ran this and it failed and in the process chewed up another 3gig of my hard-drive. Awesome to see that you found Disk Cleanup back in Server 2016. By default I assume – don’t need to add any roles/features? I haven’t done anything special on Windows Server 2016TP5. The information you have shared about DISM is very useful and it seems to be the simplest way to gain disk space in your system and so performance can be improved. So, thanks for sharing such a useful information. Thank you Sneha for your comment. Seems like you like to spam www [.] diskanalyzerpro [.] com a lot in comments, so I’ve edited your comment and removed the link. This is not my website I just wanted to give a tool for disk clean up. Thank you for the article. Here is my little contribution. I am not sure if this is necessary though, because after dism steps mentioned above i do not see anything to clean up anyway. Thank you for your contribution J-cztery. I’ve planned some Win2012R2 installations for tomorrow and will give it a try. 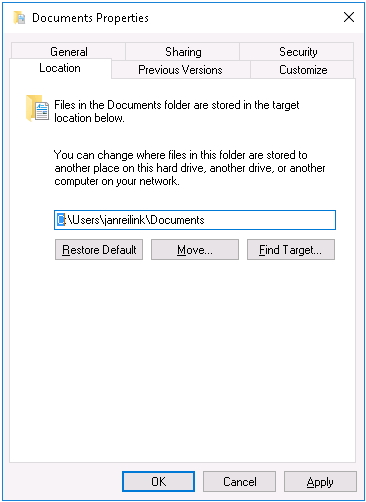 In Server 2012 R2, it appears that while cleanmgr runs after following your directions, it becomes almost useless, because after uninstalling the desktop experience you lose all the extended cleanup options such as previous windows installations, windows update cleanup etc and even temporary files cleanup. Some sort of system hook is missing that lets it scan these system areas. Hi Aaron, thank you very much and well noted. I’ve reflected your comment in the post. You said “I’ve tested this on Windows Server 2012. It may not clean up everything, but at least a lot.” – I’m wondering how given trying to install the Windows6.1-KB2852386-v2-x64.msu on a Windows Server 2012 OS gives the typical error of “Not applicable to this Operating System”? Hi Gavin, thank you for your comment! Maybe the text isn’t clear, my apologies. What I meant is I copied the files from Windows Server 2008 R2 to Server 2012, like the Applied Innovations explained.